Samsung’s up coming Galaxy tablet is being rated as a strong candidate ready to give some real competition to the iPad with its impressive features some of which are not found on the Apple tablet. 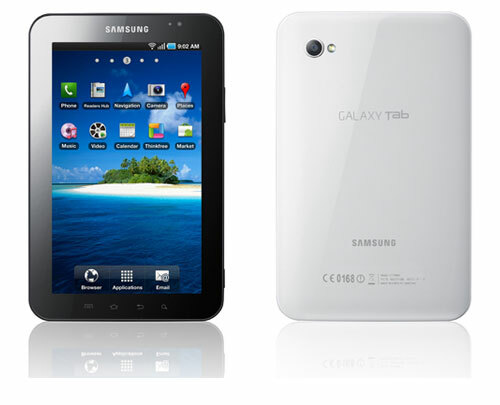 The previews and analysis of the Galaxy tab have been very promising and now Samsung is also throwing a competitive price to especially lure users in the US. The Wall Street Journal is reporting that the 7-inch Android tablet could be priced at $ 200-$300 depending on the carrier subsidies. The Korea Times, meanwhile, suggests a $ 300-$400 pricing which doesn’t make sense as a Samsung spokesperson revealed recently that the Tab “will cost slightly more than the Galaxy S smartphone.” Now, the Galaxy S costs $ 200 in the US and slightly more than that should not go on to mean $ 400 as that’s double the Galaxy S price. As the Android platform is available on a variety of service providers, the Galaxy Tab is spreading its wings and now it’ll also be available on Vodafone. The official Vodafone website is currently showing a “coming soon” message and that is good news for all those users who want to stick to their favourite services and still be able to use the Galaxy Tab. Slashing prices in the US is a great way to compete with the iPad as that’s their biggest market and since the Galaxy Tab will also make phone calls unlike the iPad, it is all set to pull off a double whammy in the American market.